Kenya’s high court on Friday ordered a halt to the long-delayed development of a mega-port on the country’s northern coast for at least two weeks to allow a lawsuit lodged by local landowners over compensation to move forward. The $25.5 billion project, known as the Lamu Port-South Sudan-Ethiopia Transport (LAPSSET) project, would eventually link landlocked countries South Sudan and Ethiopia to the Indian Ocean via Kenya and include a port, new roads, a railway and a pipeline. The LAPSSET project involves the development of a new transport corridor from the new port of Lamu through Garissa, Isiolo, Mararal, Lodwar and Lokichoggio to branch at Isiolo to Ethiopia and Southern Sudan. It will comprise of a new road network, a railway line, oil refinery at Lamu, oil pipeline, Isiolo and Lamu Airports and a free port at Lamu (Manda Bay) in addition to resort cities at the coast and in Isiolo. It will be the backbone for opening up Northern Kenya and integrating it into the national economy. It was first conceived in the 1970s but has been gaining traction after commercial oil finds in Uganda and Kenya. Kenya Defense Forces have destroyed a ship laden with heroin worth $11.3 million off the coast of Mombasa. The act is a message that the Port of Mombasa will no longer be a passage for the importation of illicit drugs, says the Head of State. 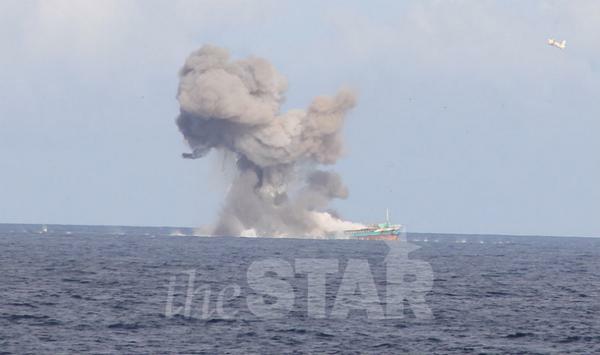 A reported 370 kilograms of heroin were blown up together with the stateless Al Noor ship on Friday in an operation witnessed by President Uhuru Kenyatta from a military helicopter overflying the Indian Ocean. The vessel was mounted with explosives which were detonated some 16 nautical miles south of the coastal town of Mombasa, where it then sunk to the seabed. A Mombasa High Court judge had earlier issued an order stopping the destruction of ship. A local lawyer had made a submission to stop the ship’s obliteration on behalf of his client, who was not named in court. However, presidential orders seemed to trump the court order. 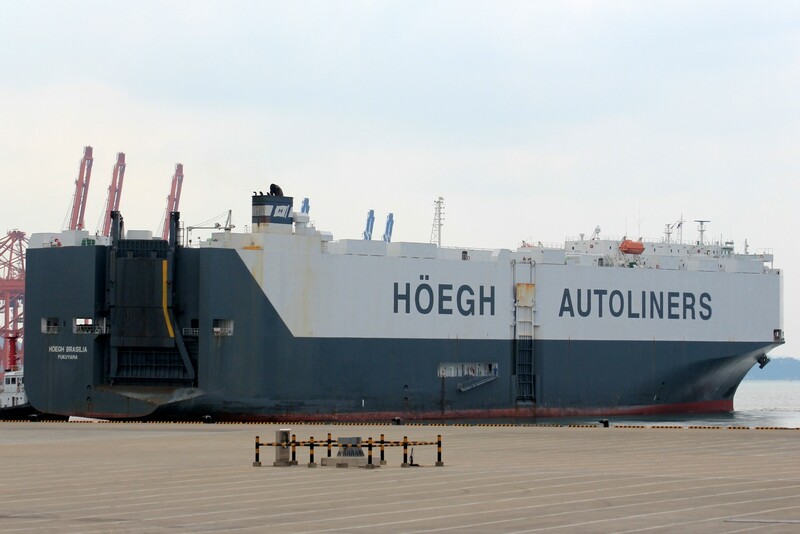 Growing volumes of cargo at all African ports has forced port authorities and operators to increase capacity, analyse operations to increase efficiency, and employ measures to allow bigger ships into their ports. The East Africa Region has various projects underway. The new Lamu Port in Kenya costing $5.3 billion (Reuters.com) and the Bagamoyo port in Tanzania costing $11 billion (The East African) are examples of countries preparing for the ever-growing port capacity needs. 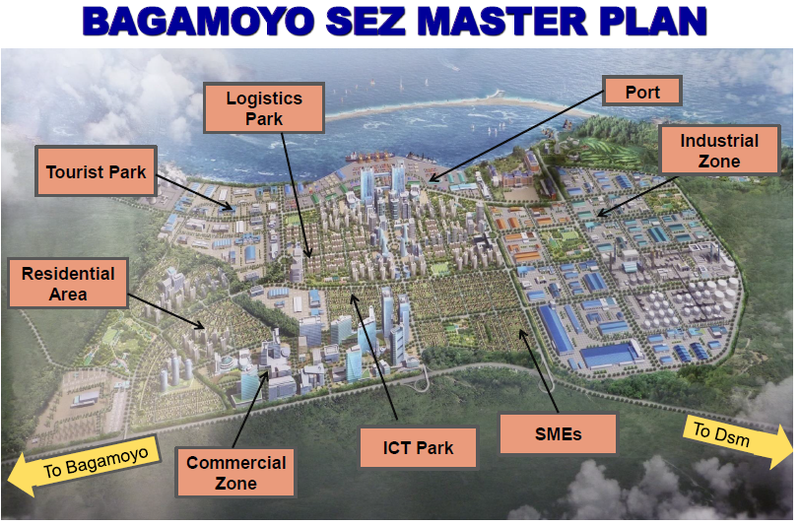 When completed in 2017, Bagamoyo will become the biggest container terminal in Africa: with a planned cargo of 20 million TEU a year; it will be 20 times larger than the port at Dar-es- Salaam and likely to rank in the top 10 terminals in the world in terms of volume capacity. Reconfiguring port layout, and increasing berths at existing ports and conducting dredging more often, have been other strategies that numerous ports have employed to meet this need. Port of Maputo will be undertaking dredging to increase its channel depth from 11 meters to 14 meters this year, to allow larger vessels entry (Dredgingtoday.com). Tanzania will invest $523 million for new berths 13 and 14 to more than double its container capacity at Dar es Salaam Port (Tradeinvestafrica.com). President Paul Kagame yesterday launched Kenya National Electronic Single Window System seen as a major boost for regional trade since it will simplify clearance processes of goods. 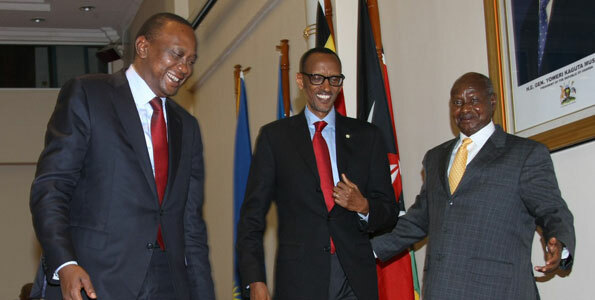 The launch was part of the activities of the 5th Northern Corridor Integration Projects Summit held in Nairobi, and was attended by Presidents Kagame, Uhuru Kenyatta of Kenya and Yoweri Kaguta of Uganda, as well as the second vice president of Burundi and Tanzania’s prime minister. Rwanda, Uganda and Kenya – which heavily rely on the Kenyan port of Mombasa – are spearheading a series of joint projects aimed at fast tracking regional development through joint infrastructure, trade and political and economic integration. The use of Electronic Single Window System is expected to centralise trade services such as tracking of goods, custom clearance, and electronic payment including through mobile money. The system will also integrate with Kenya Revenue Authority, making the clearance at Kenyan ports a lot faster and easier. “I just want to reiterate how this is one of many important projects that the East African Community partner states have undertaken to deepen integration that we have been seeking, make business more efficient, and lower the cost of doing business as we move forward,” Kagame said at the launch. 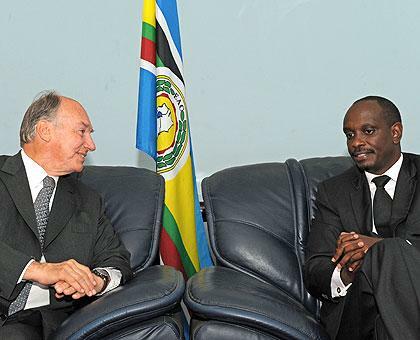 He reiterated Rwanda’s “continued active participation towards making integration a reality.” President Kenyatta and his deputy William Ruto described the Single Window System as yet another building bloc in the EAC integration process. “Our ultimate vision should be to implement an EAC Regional Single Window platform. The benefits from this initiative may not be fully realised unless all of us in the region adopt National Single Window Systems. “Our brothers in Rwanda are already implementing a Single Window System and similar efforts are underway in Tanzania and Uganda,” Kenyatta said. 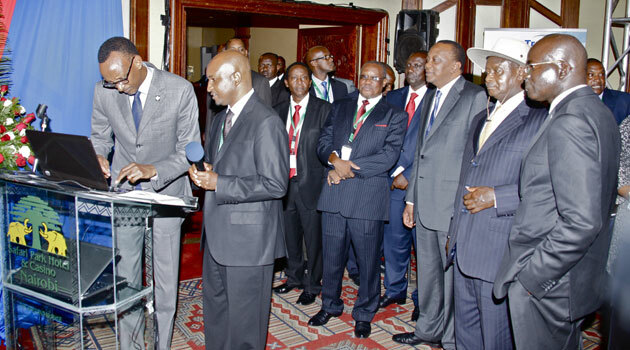 The Kenyan leader said the technology will make it possible for traders to submit information about their goods to multiple government agencies in multiple locations, making business faster and more efficient. Overlapping membership in several trade areas is impeding “free circulation of goods” within the East African Community-members states, a regional integration and trade expert has said. Alfred Ombudo K’Ombudo, the Coordinator of the EAC Common Market Scorecard team, has told The News Times that belonging to other trade blocs outside the EAC makes members reluctant to remove internal borders to allow goods to move more freely. According to K’Ombudo, a Common External Tariff (CET) is critical to ensure free circulation of goods through the application of equal customs duties. The EAC Customs Union protocol has a three-band structure of 0 per cent duty on raw materials, 10 per cent on intermediate goods and 25 per cent on for finished goods. However, of the five partner states, Tanzania is a member of the SADC and subscribes to a different structure while Burundi, Kenya, Rwanda, and Uganda, are members of the Common Market for Eastern and Southern Africa (Comesa). On the other hand, Burundi belongs to the Economic Community of Central African States (ECCAS). This, according to the expert is “perforation of the bloc’s CET,” drilling a hole in the regions tariff structure as member- states trade with other countries below the agreed tariffs. “This makes EAC countries less willing to remove internal borders because they are not sure whether goods may have come from other blocs. This is a serious structural problem that is difficult to solve because the customs union legally recognises other blocs that members belong to,” K’Ombudo noted. Burundi, Kenya, Rwanda and Uganda’s participation in Comesa and Tanzania’s membership to SADC is recognised by the EAC, but no exception is granted to Burundi for participating in the ECCAS. Article 37 of the bloc’s Customs Union Protocol recognises other free trade obligations of partner states but it requires them to formulate a mechanism to guide relationships between the protocol and other free trade arrangements. EAC Secretary General, Richard Sezibera, told The New Times during the launch of the Scorecard in Arusha, that there have been efforts to address the issue of overlapping membership. “They [EAC leaders] have done two things to [try] addressing it: One is to harmonize the CET of the EAC and that of COMESA. This makes it easier for COMESA states to reduce the level of perforation,” he explained. He added that in 2008, the heads of state decided to negotiate a free trade area between the EAC, COMESA and SADC as another way of fixing the problem. Dr Catherine Masinde, the Head of Investment Climate, East and southern Africa at the International Finance Corporation (IFC), said: “If we were not to perforate the EAC would end up with a bigger volume of trade figures”. She noted that since the launch of the EAC Customs Union, in 2005, the region has witnessed strong growth in intra-regional trade, rising from $1.6 billion to $3.8 billion between 2006 and 2010. 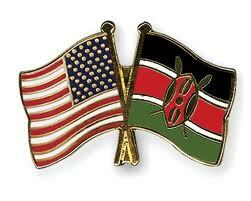 Intra-EAC trade to total EAC trade grew from 7.5 per cent in 2005 to 11.5 per cent in 2011. Kenya, Uganda and Rwanda have postponed the single customs territory (SCT) roll-out, giving Burundi and Tanzania more time to prepare for the shift. East Africa Community (EAC) secretariat custom officer Ally Alexander told the committee on Communication, Trade and Investment in Mombasa that the implementation of the model would begin in June. “We are looking at reducing the costs and number of days to clear the cargo from Mombasa to Kampala to take three days instead of the previous 18 days,” Mr Alexander said. The SCT was initially planned to begin in January with the three countries moving their revenue staff to common entry and exit points to begin goods clearance. But Tanzania and Burundi protested their exclusion in the arrangement after Kenya announced in January that it was ready to start accommodating revenue officials from the two landlocked states in Mombasa, prompting the three States to go slow on their plans. On Monday, Mr Alexander told East African Legislative Assembly that SCT would reduce the cost of doing business and bring efficiency in trade. He said for exports within the region, a single regional bond for cargo would be issued to cater for goods from the port of Mombasa to different destinations. 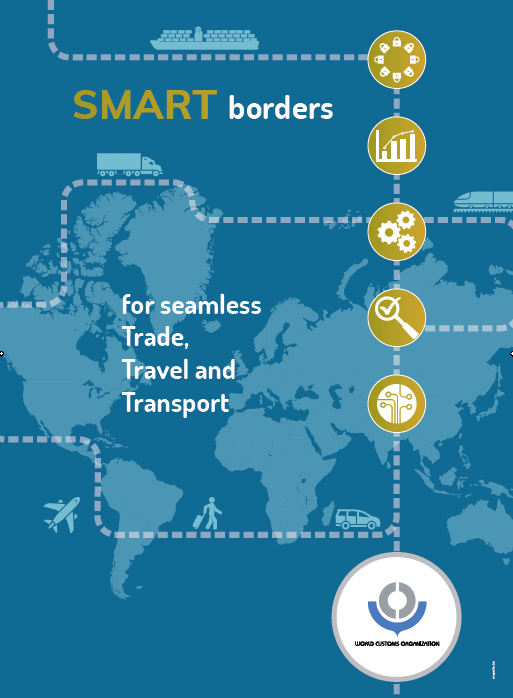 An electronic cargo tracking system would also be used to avoid diversion of goods into the transit market. Under the model, goods will be checked by a single agency on compliance to regional standards and instruments. “We want to avoid agencies replicating checking on standards, when it is done once this will not be repeated,” he said. Mr Alexander said goods would be released upon confirmation that taxes have been paid and customs procedures fulfilled. However goods heading to the Democratic Republic of Congo which is not a member of EAC will be cleared on a transit basis.